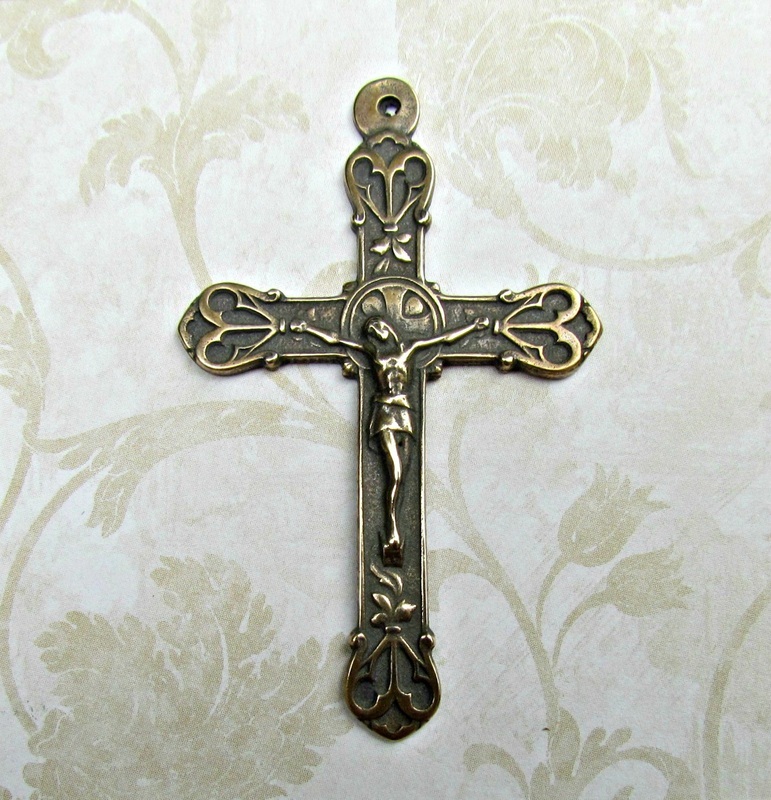 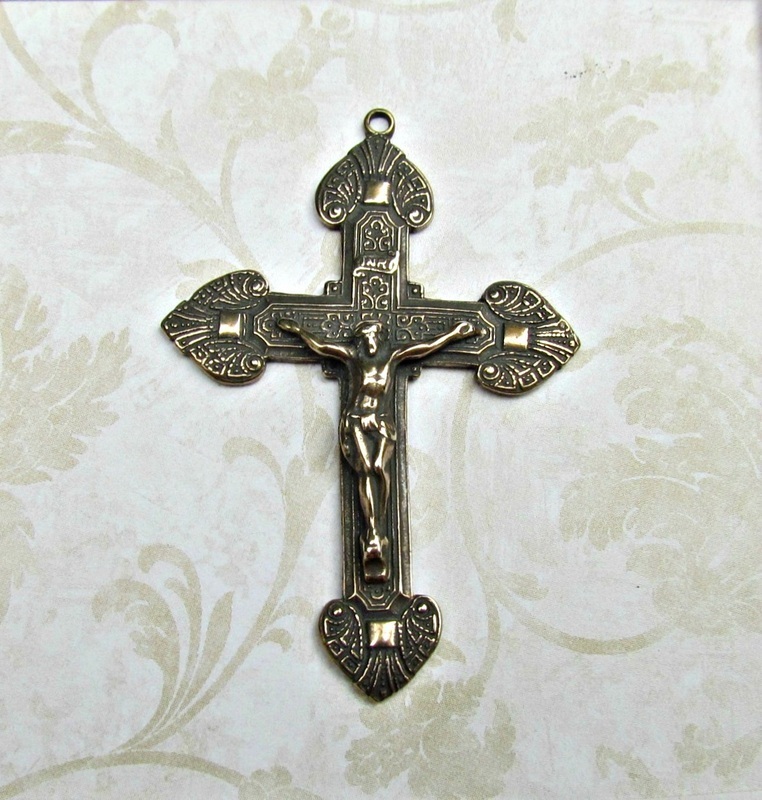 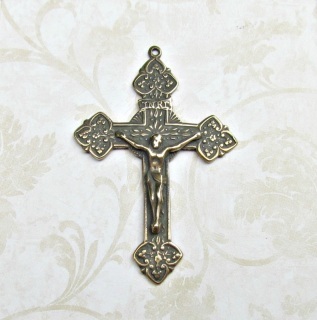 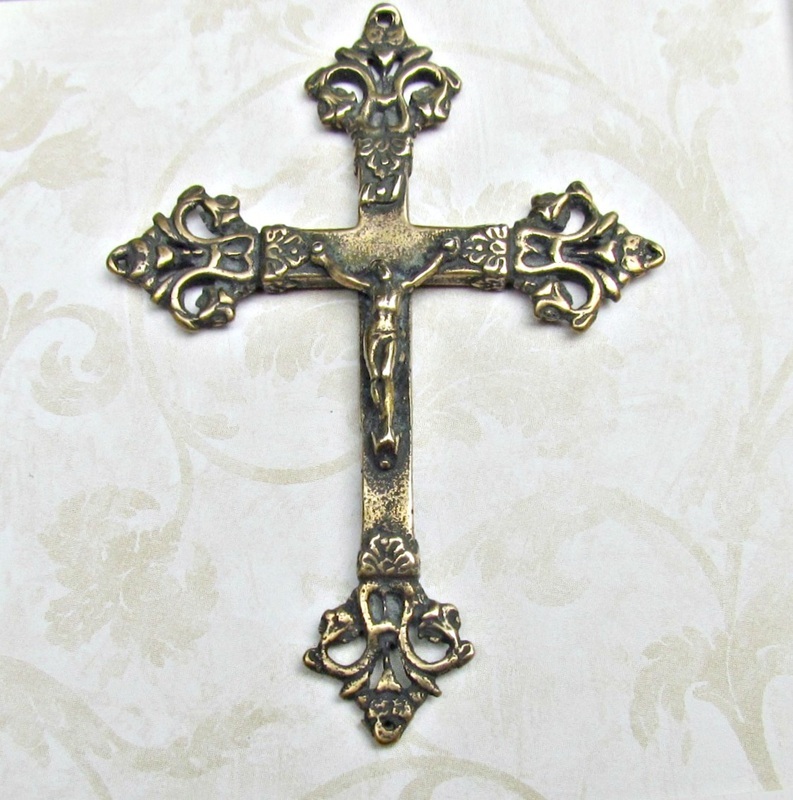 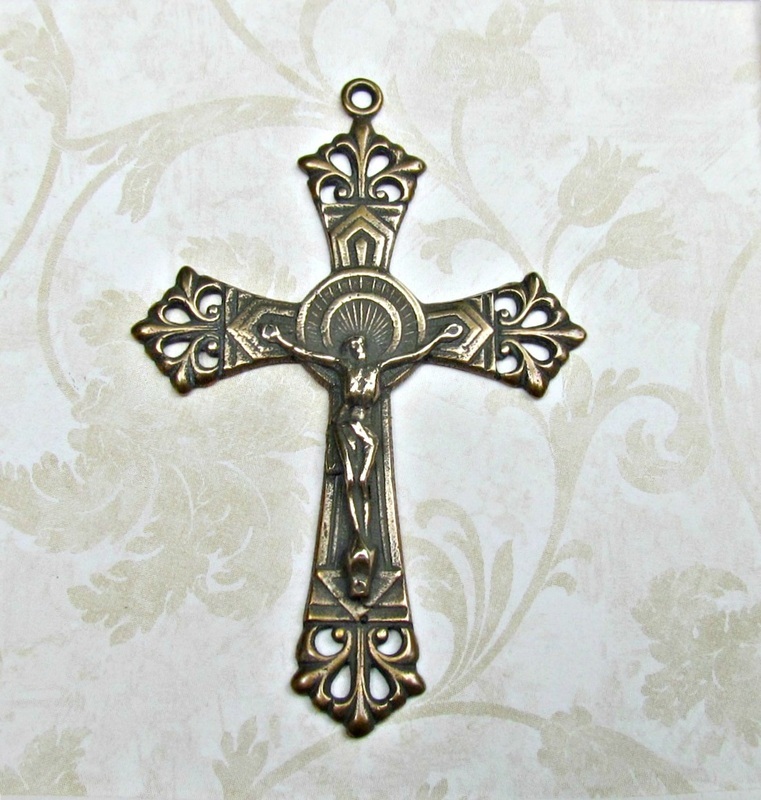 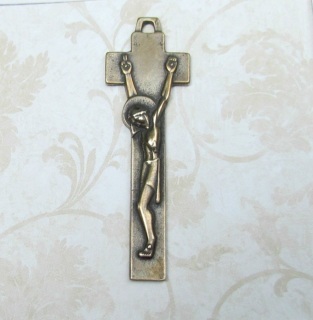 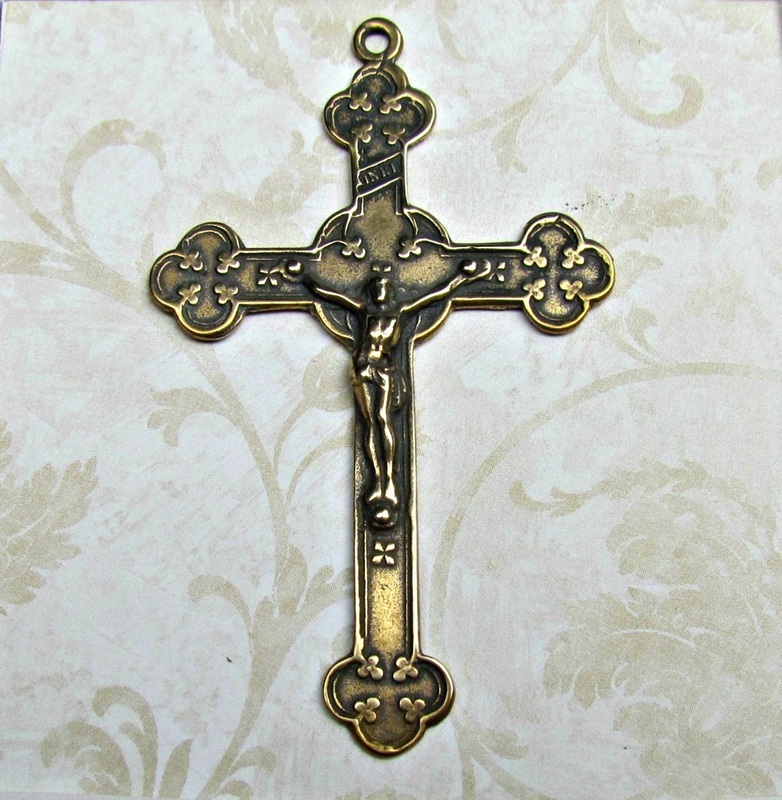 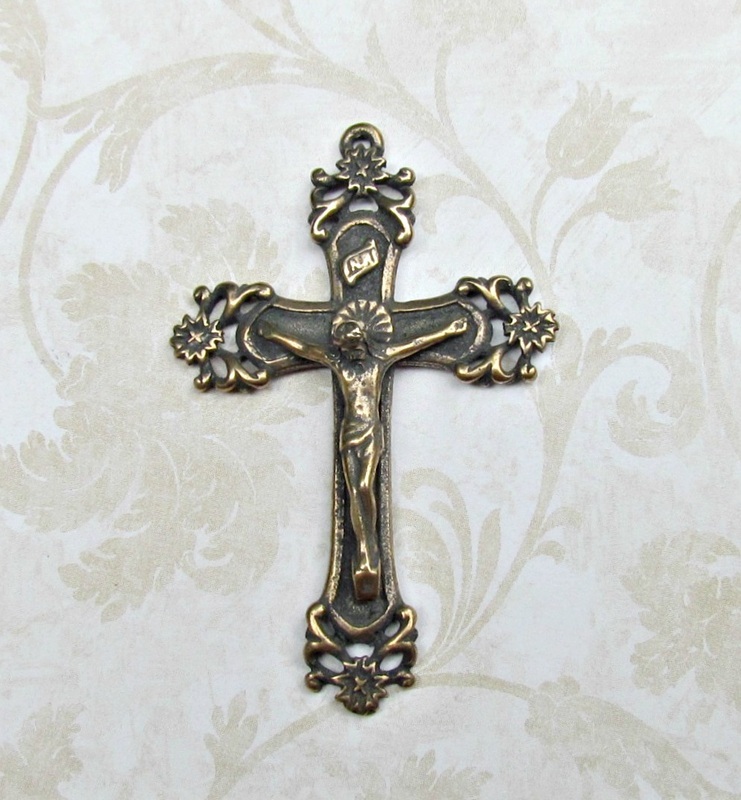 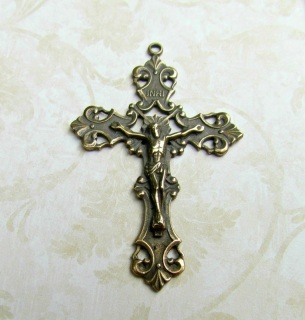 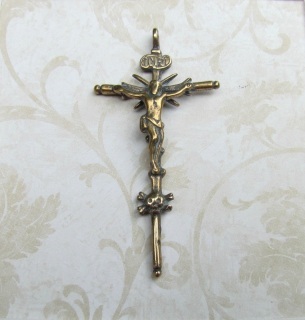 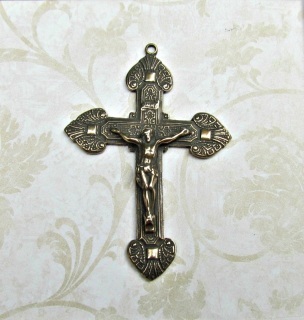 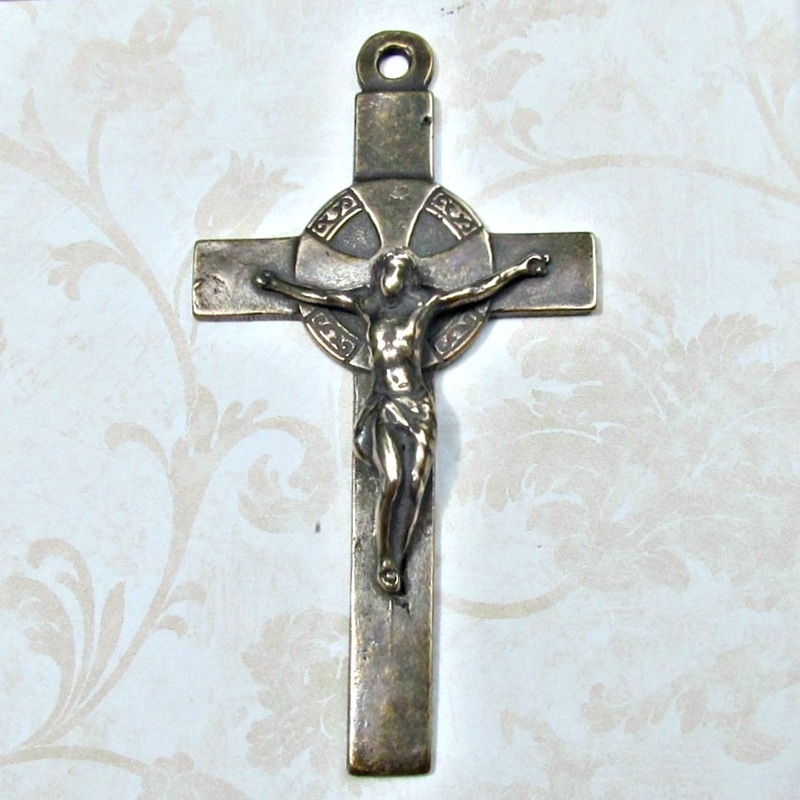 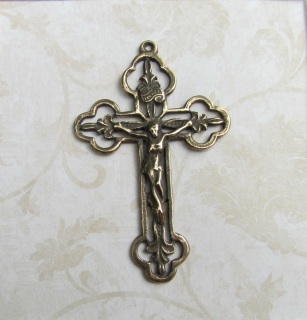 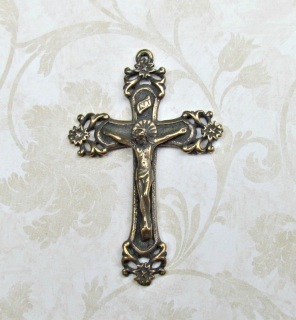 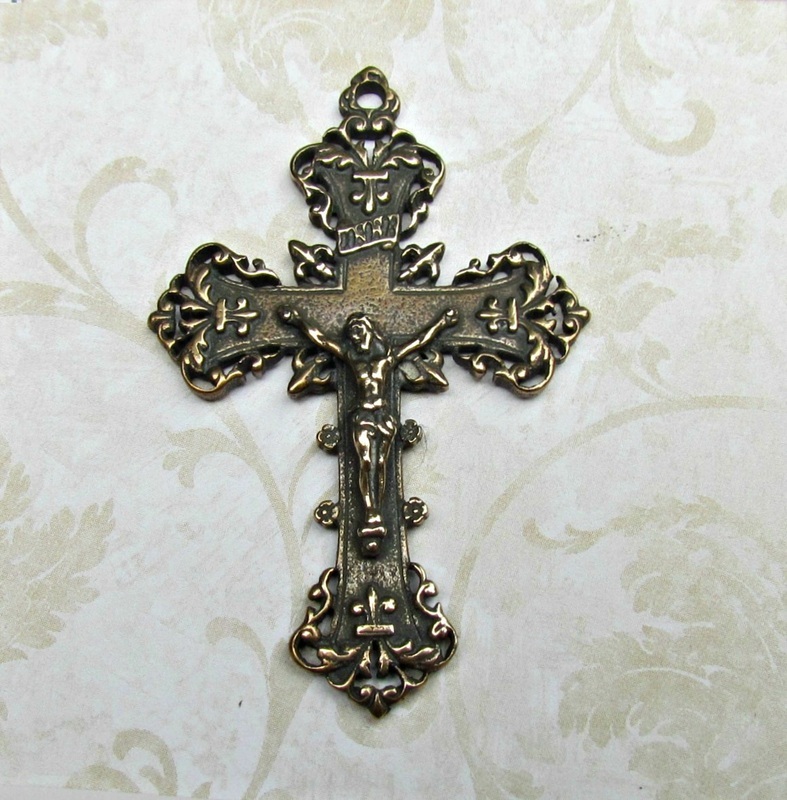 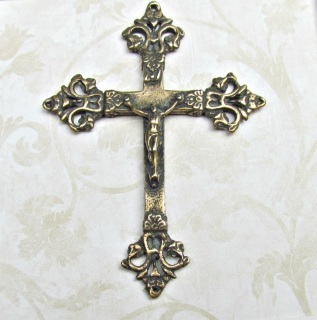 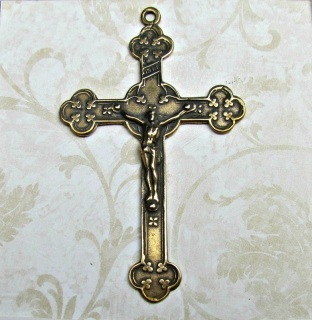 These are large sized crucifixes over 2" long...Shown in a 3" square. 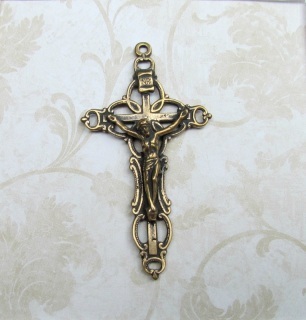 Suitable for large 8mm rosary beads. Looking for your CART? 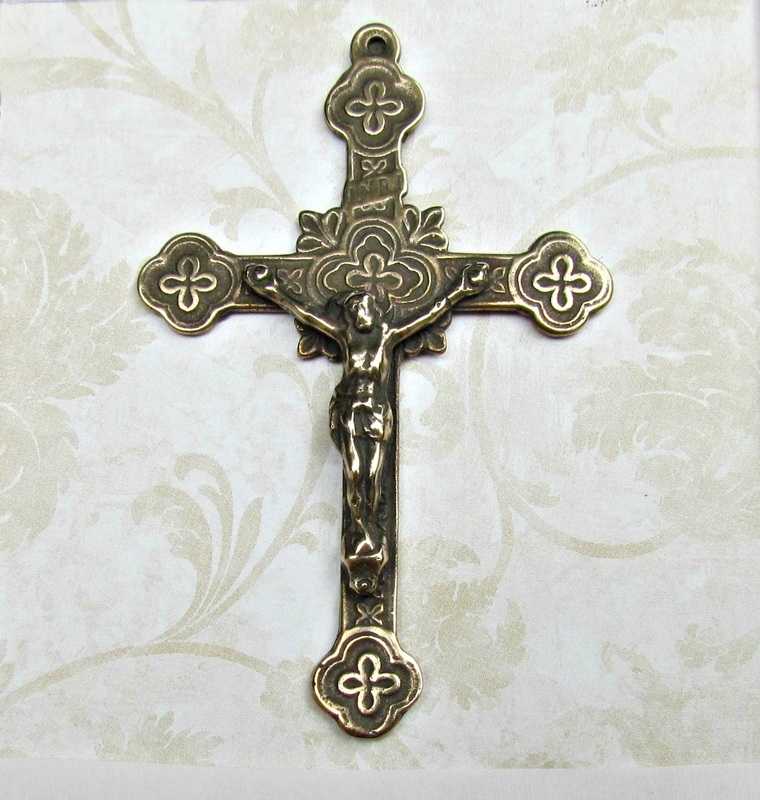 Find the hovering box by scrolling up or down this page. 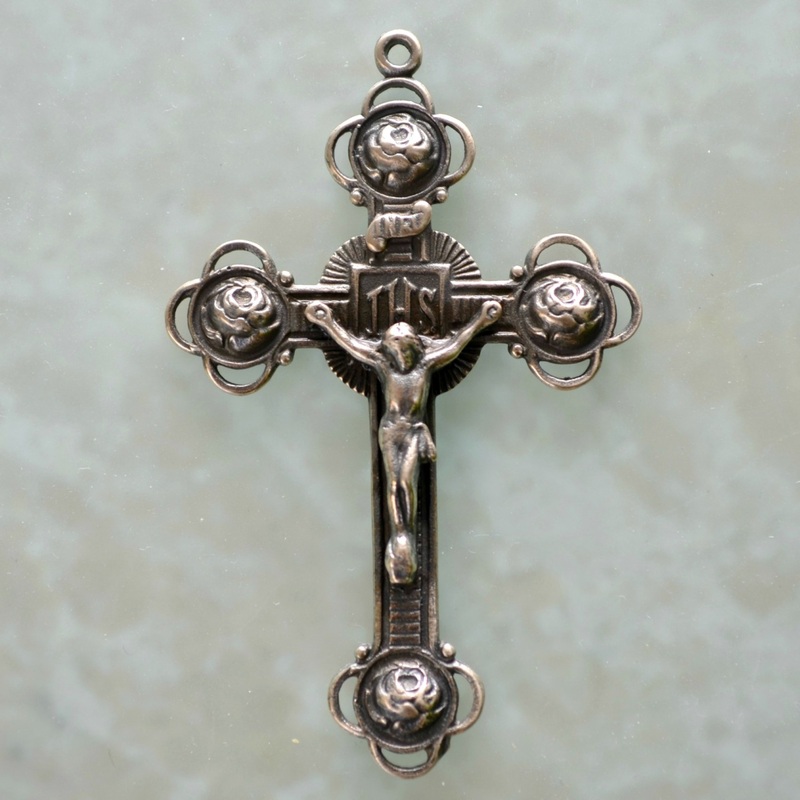 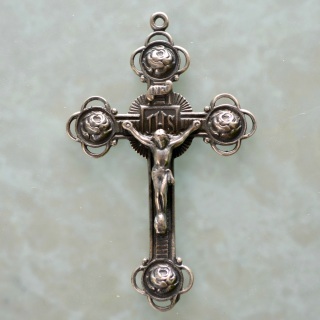 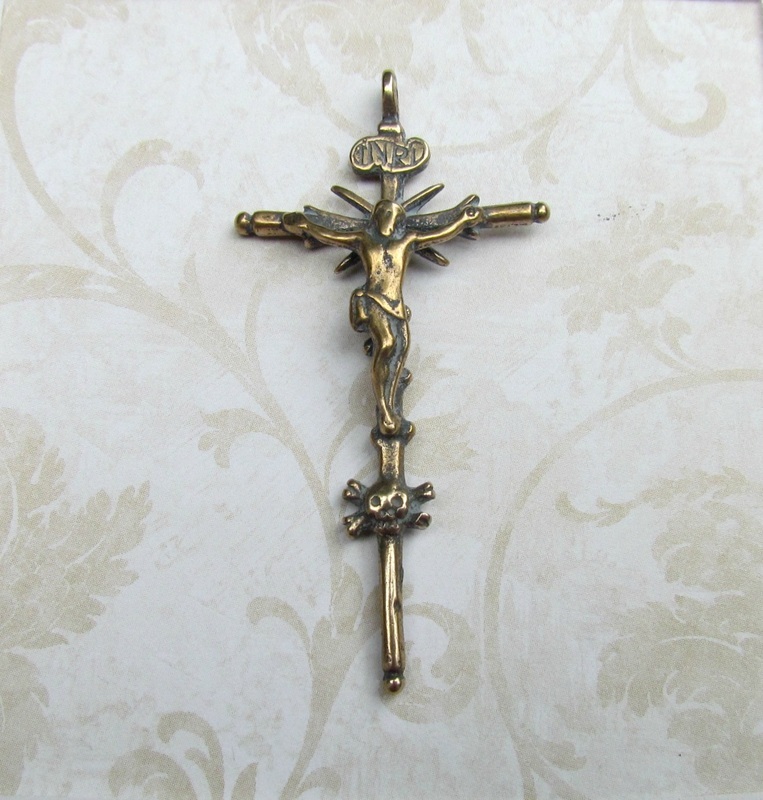 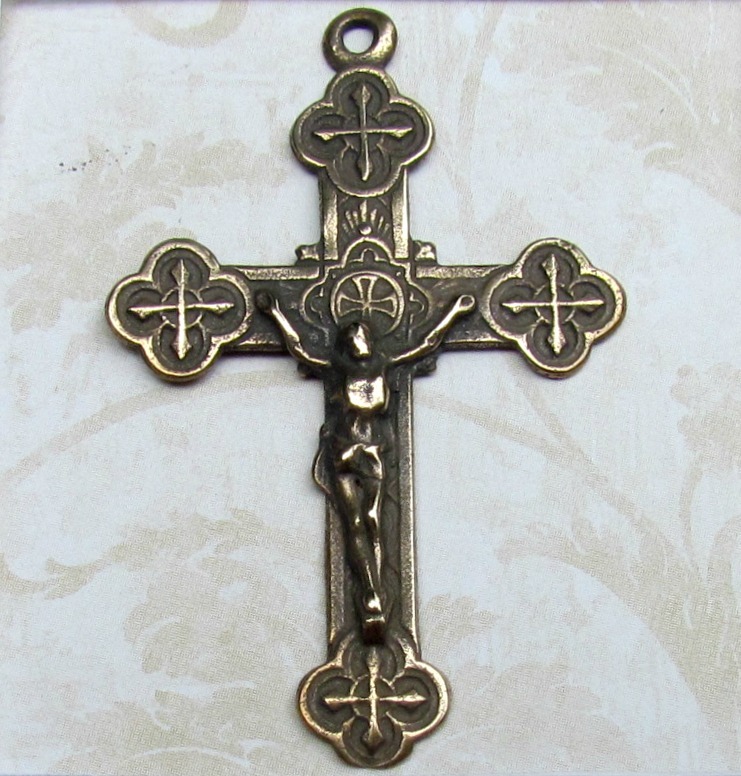 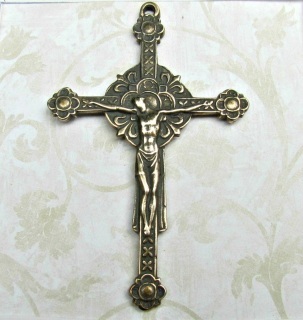 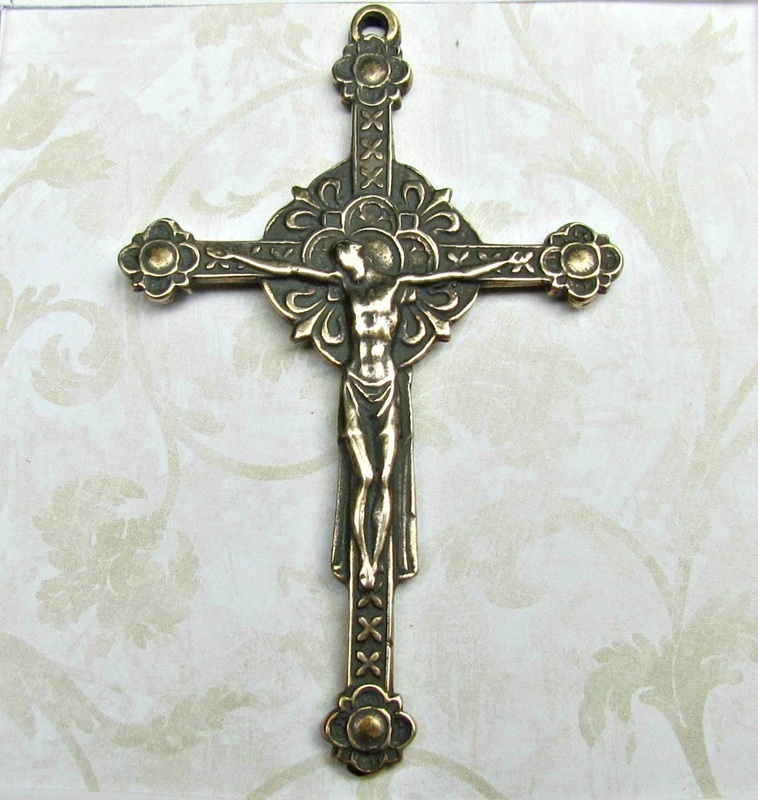 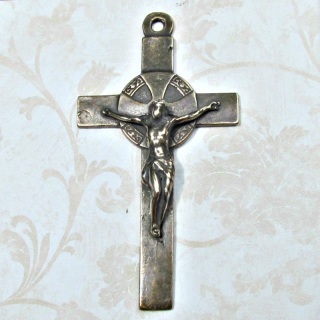 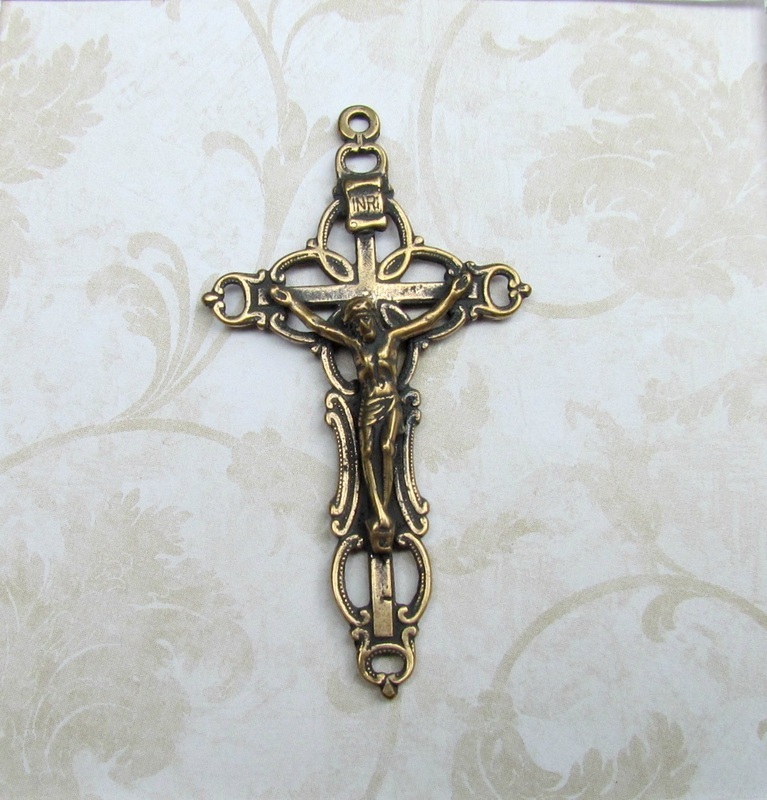 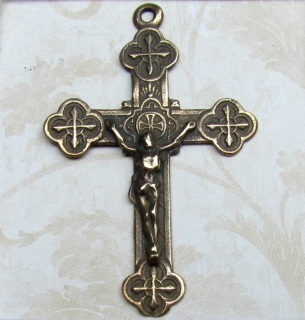 2 3/4" This a highly detailed heavier crucifix. 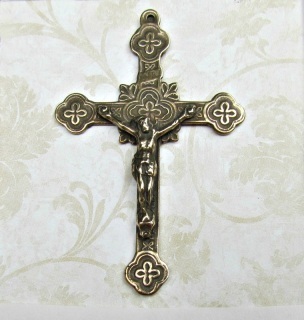 Double Nimbus, Large - 2 1/2"